From Amarillo to Brownsville, from El Paso to Beaumont, and from Sherman to Laredo, Texas is putting more dreams to work than any other place in America. A vibrant arts scene shapes quality of life throughout the state. 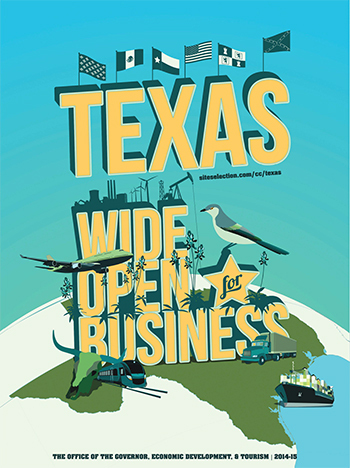 Texas rolls out the welcome mat for corporate growth. Texas corners the market on corporate HQs. Incentives help seal the deals.